The Treeternity Memorial Package purchase price is $998 plus taxes. This is a one time cost for eternity. The price includes one available 12’x12’ parcel in the location of your choice, a young tree (approximately 3 years old) from the 4 available choices, a 9”x5” FusionCast memorial plaque with your own personal message inscribed on it and a keepsake certificate with GPS coordinates. The price is the same regardless what type of tree you choose. Additional plaques may be purchased and added to each tree parcel now or in the future. Each additional plaque costs $498 plus GST. This is what we call a family tree. Plaques take 4-6 weeks to be made, so be sure to order in advance so that your plaque arrives prior to your preferred planting day. 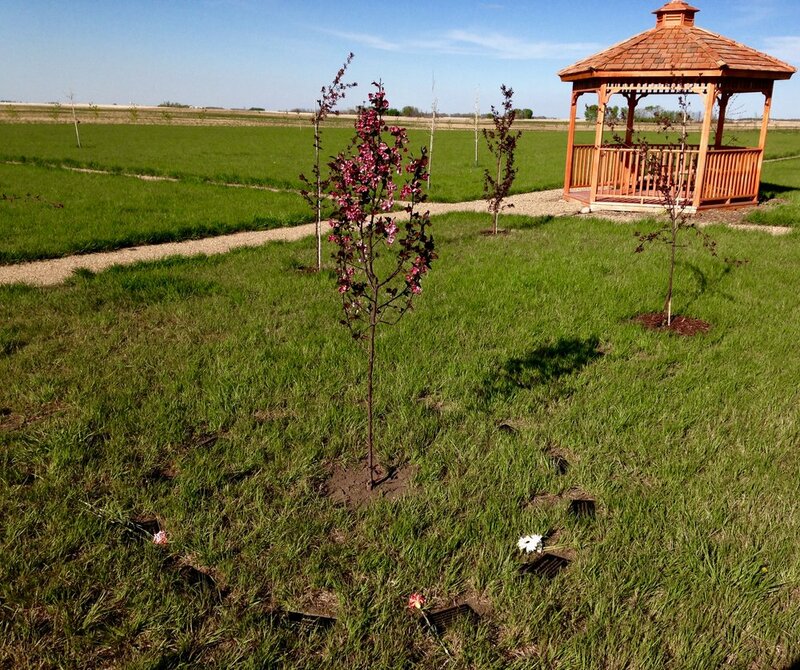 Spring is the best time to plant a tree as it allows more time for the tree to root down and establish itself before winter, however we will plant memorial trees throughout the season as the weather allows. This land will remain a natural green space for eternity. We care for Treeternity Memorial Forest as though it is our backyard and ensure the trees are always watered. Treeternity has an agreement with the Saskatchewan Wildlife Federation to donate the land to wildlife conservation in the future so you can be sure that this land will never be sold. To purchase a memorial tree please contact us.